Who offers the fastest and most effective oven repair in Lodi, New Jersey? We do! Our friendly technicians provide quality service on all oven makes. Call us to fix your gas or electric oven and we will be there. You can also enlist us to fix your microwave, range or stove. Your satisfaction is our top priority. Our customer care service revolves around you. 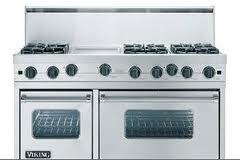 Call us first to get the best oven installation and repair service in Lodi. Our pros are experienced and respond rapidly when there are gas oven or stove issues. You depend on your ovens to work right. Appliance Repair Lodi is here to make sure they do. We offer same day service at a fair price. Our experts specialize in servicing all types of ovens. We will fix any brand. Our techs are honest, hard working, and dedicated to customer service. No one takes better care of your ranges, stoves, ovens, and microwaves. We provide oven service you can trust. Is your electric or gas range giving you trouble? Maybe your oven won’t heat up. Perhaps your stove top won’t come on at all. You need these appliances to prepare your favorite meals. It is normal to get upset when they break down. However, don’t panic! Call us for same day oven repair. We offer repair stoves & ranges fast too. Our vans are loaded with all the parts we need. You can depend on us to provide microwave, electric or gas oven repair. We offer a customer satisfaction guarantee. Call our experts for the best in oven care. Are you looking for a company you can trust for microwave oven repair? Do you want an experienced technician to fix your built-in oven? You have come to the right place. We will provide outstanding Lodi oven repair service for less. Call us today and get the detail-oriented service you deserve.